The Magic of a Galaxy Far, Far Away…. 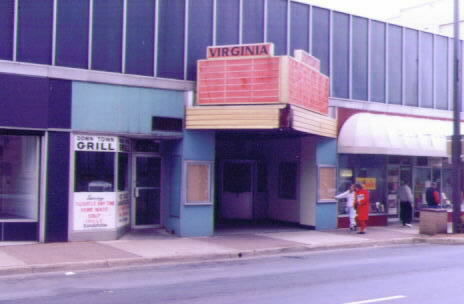 The old Virginia Theater in downtown Harrisonburg, VA was a grand spectacle in its heyday. Marble floors, over one thousand seats, a balcony, towering columns, sumptuous curtains. In its prime, the Virginia was much like the Byrd Theater in downtown Richmond, VA. But by the early ’80’s, the grandeur of the Virginia had faded. Cracked plaster clung to the walls. 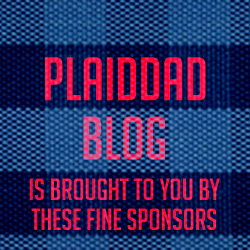 Time decayed the curtains; the seats had become uncomfortable. In spite of efforts to save it, the Virginia was transformed into a parking lot. Why do I reminisce about a long gone theater? Because that’s where, as a five year old boy, I first saw Return of the Jedi. Every time I watch that film, I’m taken back to the old, dilapidated Virginia Theater in the spring of ’83. I’ve been a Star Wars fan ever since. 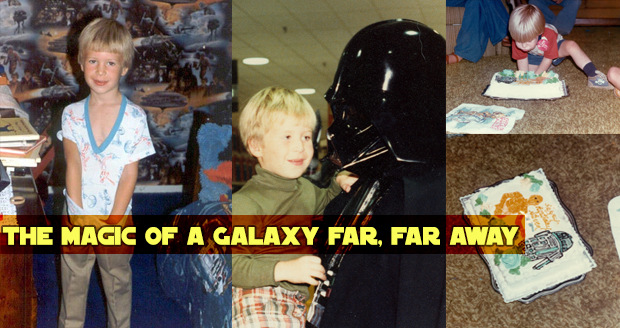 In the years following that epic day of my childhood, I (like many of us) dreamed of more Star Wars films. In 1997, Star Wars fans got their wish. I kept my expectations low for the prequels, knowing that nothing would ever top the original trilogy. Unlike most Star Wars fans, I was not disappointed. I enjoy the prequels and the story they weave. I recognize their flaws–too much CGI and Hayden Christensen among them–and it doesn’t bother me. Mediocre Star Wars is better than good most everything else. I bought all of the films on DVD. Yeah, I wish George Lucas hadn’t tinkered with his masterpiece, but I really don’t care if Han shot first. As my three daughters have grown, I’ve introduced them to Star Wars. My eldest isn’t much of a fan (I’m such a failure! ), but my younger two love the films. That’s why I’m so excited for Episode VII. Tonight, dads will take their children to their local theaters to watch the highly anticipated Star Wars: The Force Awakens. Most will have introduced their kids to the Star Wars universe. Some will, like my parents did with Jedi, introduce their children to Star Wars through The Force Awakens. No matter if our children have seen Star Wars a million times or if this will be their first trip to a galaxy far, far away, this will be a watershed experience for them and us. Like many of us in our youth, they will get to see a Star Wars film as it should be viewed: on the big screen. It will impact them so much that, thirty years down the road, they will tell their kids what theater they were in when they saw Episode VII. My family won’t get to see the film until next week. But on December 23, my girls will see a Star Wars film in the theaters for the first time. As old Ben Kenobi would say, they’ll take a first step into a larger world. And one day, they’ll tell my grandkids about the Regal Grande 14. Sorry, Regal. The Grande 14 just isn’t as grand as the ol’ Virginia. Where were you when you first saw a ‘Star Wars’ film? Let us know in the comments.